Welcome to the 26th European Congress of the Association Européene des Illustrateurs Médicaux et Scientifiques (AEIMS). This year’s congress will be hosted by the Master Scientific Illustration (MSI) at Hogeschool Zuyd from 17 to 18 March 2017. 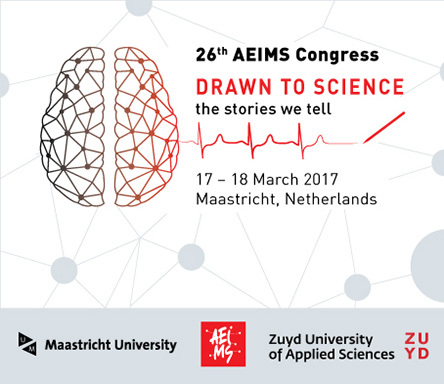 Invitation to the 26th European Congress of the Association Européene des Illustrateurs Médicaux et Scientifiques (AEIMS).